Seattle is known for museums, parks, zoos & aquariums, nightlife, and shopping. Your plan includes some of its best attractions: explore the world behind art at Chihuly Garden and Glass, enjoy the sand and surf at Alki Beach, meet the residents at Seattle Aquarium, and take a stroll through Pike Place Market. To find reviews, more things to do, maps, and more tourist information, read our Seattle online trip planner . Tokyo, Japan to Seattle is an approximately 14.5-hour flight. You can also do a combination of flight and shuttle; or do a combination of train and flight. The time zone difference moving from Japan Standard Time (JST) to Pacific Standard Time (PST) is minus 17 hours. Expect slightly colder weather when traveling from Tokyo in December: highs in Seattle hover around 9°C, while lows dip to 3°C. Finish your sightseeing early on the 14th (Fri) to allow enough time to travel to San Francisco. San Francisco is known for nature, museums, parks, nightlife, and shopping. 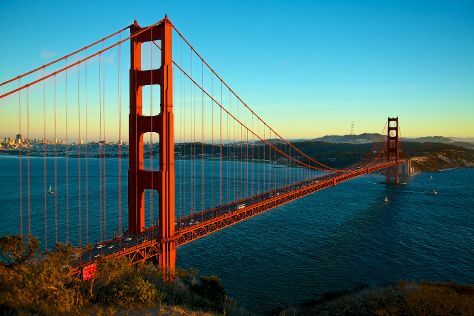 Your plan includes some of its best attractions: take in the views from Golden Gate Bridge, take a stroll through Twin Peaks, head off the coast to Alcatraz Island, and catch a ride on Cable Cars. For maps, other places to visit, ratings, and tourist information, use the San Francisco trip builder site . Getting from Seattle to San Francisco by combination of flight and subway takes about 4 hours. Other options: fly; or drive. Expect a bit warmer temperatures when traveling from Seattle in December; daily highs in San Francisco reach 17°C and lows reach 8°C. Finish your sightseeing early on the 19th (Wed) so you can drive to Yosemite National Park. On the 21st (Fri), spend an exhilarating day on the slopes at Yosemite Ski and Snowboard Area. 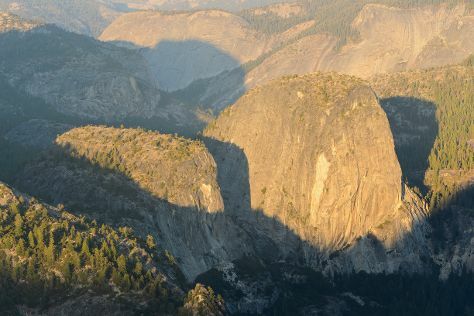 And it doesn't end there: take in the dramatic natural features at Glacier Point, make a trip to Yosemite Village, trek along Tuolumne Meadows, and get all the information you need at Yosemite Conservation Heritage Center. For photos, other places to visit, reviews, and other tourist information, use the Yosemite National Park tour planner . Getting from San Francisco to Yosemite National Park by car takes about 4 hours. Other options: take a bus; or do a combination of subway, flight, bus, and taxi. Expect a bit cooler weather when traveling from San Francisco in December: highs in Yosemite National Park hover around 9°C, while lows dip to -11°C. Finish your sightseeing early on the 23rd (Sun) to allow enough time to travel to Los Angeles. Get out of town with these interesting Los Angeles side-trips: Anaheim (Disneyland Park & Disney California Adventure Park). Pack the 26th (Wed) with family-friendly diversions at Universal Studios Hollywood. There's still lots to do: examine the collection at The Getty Center, admire the striking features of Walt Disney Concert Hall, take a leisurely stroll along Santa Monica Pier, and see the sky in a new way at Griffith Observatory. For other places to visit, ratings, reviews, and more tourist information, go to the Los Angeles trip itinerary website . Traveling by combination of car and flight from Yosemite National Park to Los Angeles takes 4.5 hours. Alternatively, you can drive; or do a combination of taxi, bus, and flight. Expect much warmer temperatures when traveling from Yosemite National Park in December; daily highs in Los Angeles reach 24°C and lows reach 11°C. Finish up your sightseeing early on the 28th (Fri) so you can go by car to San Diego. San Diego is known for museums, zoos & aquariums, beaches, parks, and historic sites. Your plan includes some of its best attractions: admire nature's wide array of creatures at San Diego Zoo, see the interesting displays at Maritime Museum of San Diego, take in nature's colorful creations at Botanical Building and Lily Pond, and let little ones run wild at Balboa Park. To see maps, where to stay, ratings, and other tourist information, use the San Diego trip itinerary builder . You can drive from Los Angeles to San Diego in 2.5 hours. Alternatively, you can take a bus; or fly. Expect a daytime high around 23°C in December, and nighttime lows around 12°C. Finish up your sightseeing early on the 1st (Tue) so you can travel back home.